The swing series is manufactured at Valandre with the same precision and attention to detail as the Elite sleeping bags. In contrast to his larger brothers, the swing series does not use a down of the Graugans, but a Pyrenean "thick" duck down. 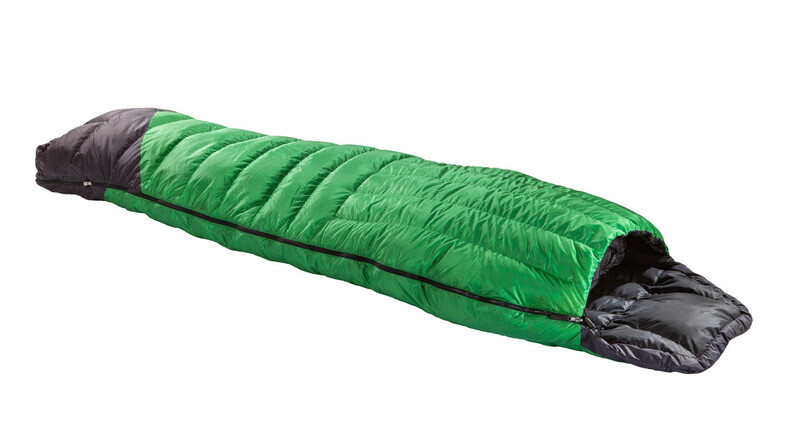 If you are looking for a blanket sleeping bag that is closed a cozy sleeping bag and a warming blanket, the Valandre Grasshopper is the first choice. The Grasshopper is filled with 400g of our finest Pyrenean Entenaune (total weight 885g). Spring and autumn temperatures of up to -3 ° C (35 ° F) are therefore easy to handle. The down are incorporated in the chest region in the longitudinal chambers, so that they do not shift the "rotate" in a sleeping bag. The hood can be pulled with a cord. 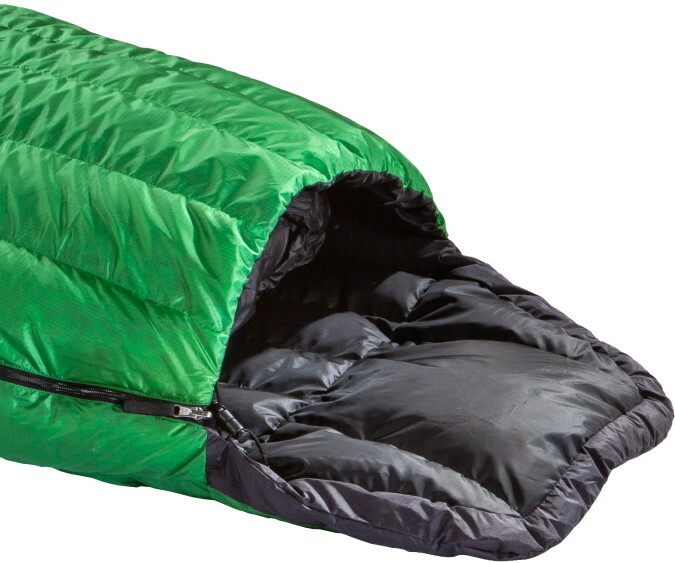 As a comfortable, rectangular sleeping bag, it can also be used as a luxurious blanket. For packaging, a pack bag is attached at the foot end. The models can be coupled. 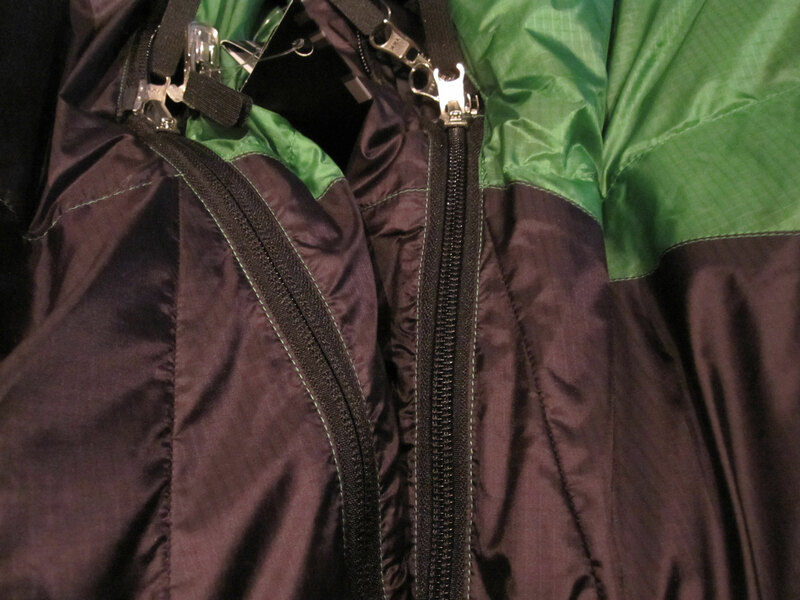 Under the model update in 2016 Valandre has newly sewn zippers. Thus, a coupling with the predecessor models is not possible! Comfort : 33°F/ 1°C With over 30 years of experience producing and supplying down products, our experience says -5°C (23°F) in limit of comfort. Compartments : 38 compartments, mounted using straight H box walls. Valandre Grasshopper, zipper UPDATE, left Updated, right before! In model update 2016 Valandre has re-sewn the zipper. Thus it is not possible to pair with the previous models! Please note it in your order. Test report Valandre Grasshopper - in the magazine "ALPIN"
Valandre Grasshopper 400 - It does not always have to be the thinnest mummy. 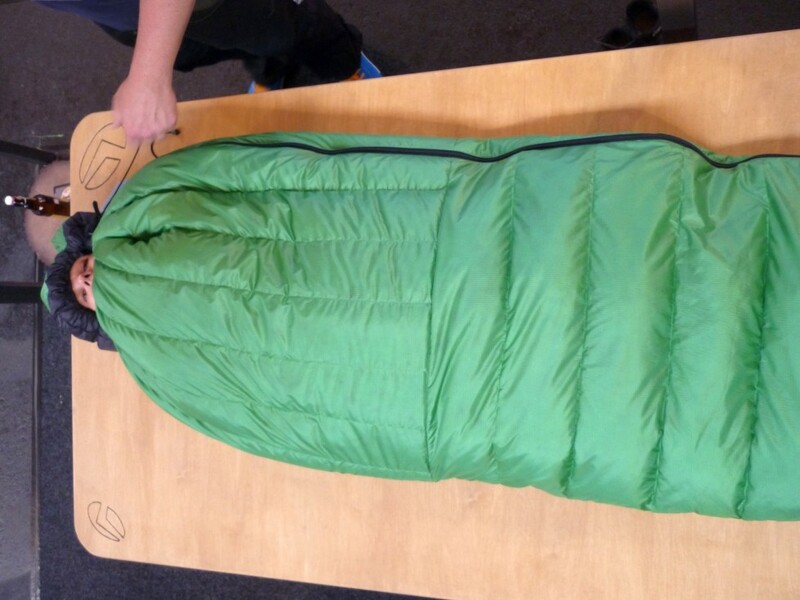 If weight and pack size do not play the overriding role, a slightly wider sleeping bag is much more comfortable. 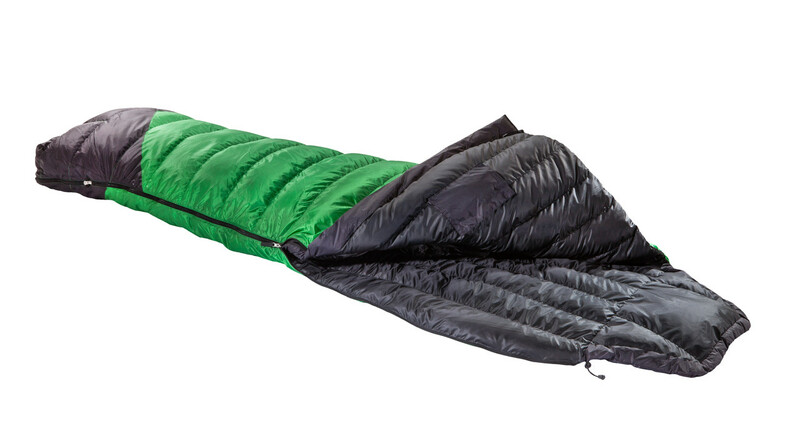 The Grasshopper from Valandre is anything but a simple sleeping bag. 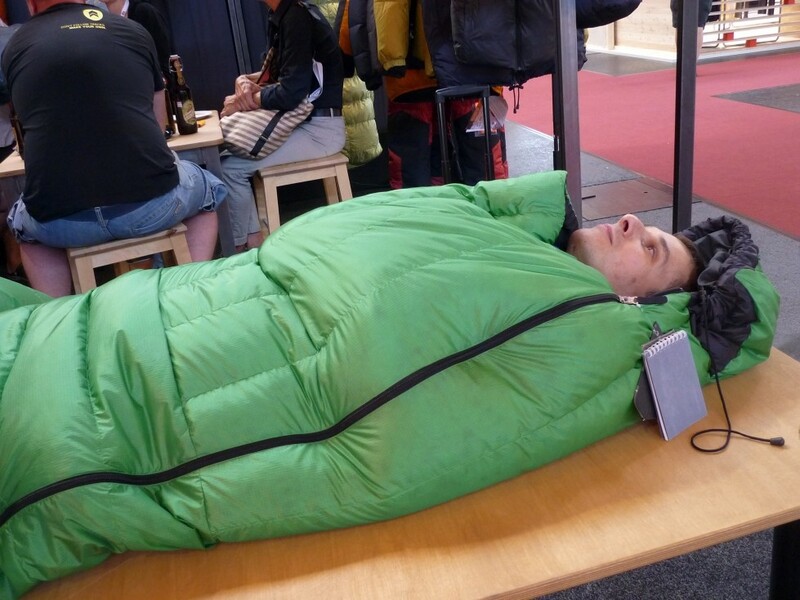 With 400 grams of high-quality down filled and the Valandre's customary processing, the Grasshopper can measure with many high-quality sleeping bags. 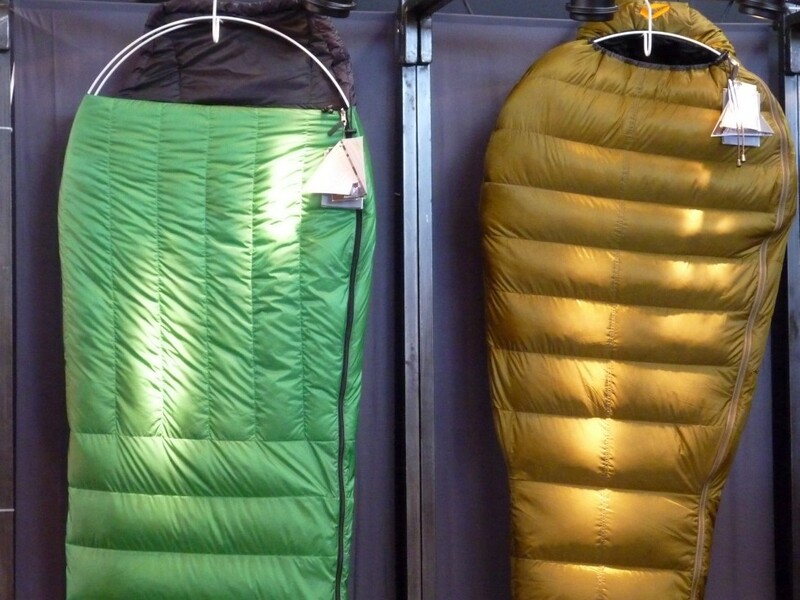 If the summer nights are so warm that you do not need a sleeping bag: You can also make the grasshopper to the ceiling. Valandre Grasshopper 400 - Downweight specialist Valandre sold the new Grasshopper as a summer sleeping bag. But in the test he delivered insulation values like a three-year-time model. Also, the hood seals the face clean. Only the cover strip could be somewhat more insulated. At warmer temperatures it can be opened to the ceiling, the packsack is integrated into the base part. Typical Valandre: the high quality. CONCLUSIONS: The Valandre Grasshopper is fun when it comes to trekking or traveling. It weighs little, is very small packable, durable and can also be tapped to the ceiling.